Which Sheds are Better: Zinc sheds or Colour sheds? Home Storage Solutions Carports What is the difference between a Zinc and a Coloured Shed? A lot of people ask if there is a difference between the steel used for Zinc and Coloured sheds on the market. Are they the same in quality and durability? What makes them different if not just the colour? The steel sheds, carport and garages we carry are made from high standard Australian quality materials. Roof and wall sheets are made from Bluescope Steel™ so you are ensured the products are strong and durable The designs are constantly reviewed, researched and updated if need be to ensure greater performance. 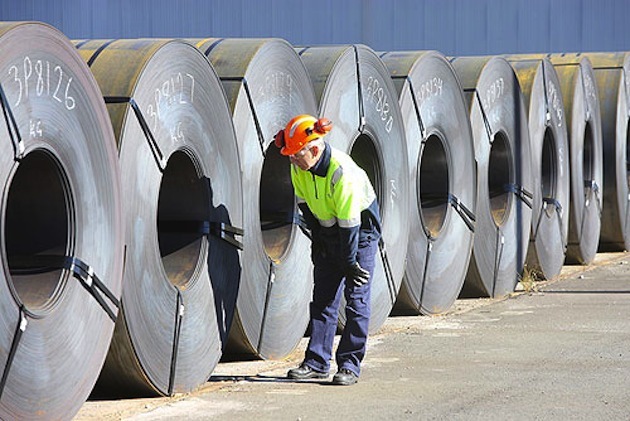 Zincalume® and Colorbond® are brands of Bluescope Steel. Zincalume® with its ‘galvanised steel look’ is a material that has been proven and tested to withstand the distinctive Australian typical weather. The alloy coating of zinc/aluminum on Zincalume® steel materials pass on resistance to rust and deterioration extending to even four times that of regular galvanised steel. An economical option for building structures as it will last for a long time. Coloured sheds typically used Colorbond® which provides colour options for sheds. This is created by putting on via chemical procedure an alteration coating on Zincalume® steel to increase the finishing adhesion. Two coats of specially formulated paints were baked on the sheets to provide a variety of colours that would last remarkably for a long time while providing a maintenance-free quality on your shed because you won’t have to repaint them overtime. Zincalume® and Colorbond® materials on your shed will ensure the superior attribute of the building. PLEASE NOTE: If you live close to airports, check with your local council if Zincalume® is suited in your area. Awesome, thank you for putting this together! I had not idea what the difference was when I saw the two different materials.